This is a very recent occurrence and may be temporary but I can't edit any submissions, as they show up blank. Tried the edit link on emails AND viewing submissions and clicking edit but same result, they show up completely blank. I've tried a few different forms submitted on different days, no difference. Is it happening to others? I cloned your form with Form ID: 41964533767365 and tested on my side. I made submissions to the form and received notification emails with edit submission option. I could not replicate the same problem. I was able to edit my submission by clicking the link in my email. Additionally, I tried to edit the submission from the Submissions page. Please see the screenshots below. 1. I went to the Submissions of the cloned form. 2. Clicked on Edit button. 3. I was able to edit the submission. This problem you are having might be temporary. Please try again. If the problem still persists, for further inspections, could you provide us the Form ID of the form you are having trouble with and a detailed description with screenshots? Thanks for getting back, the form ID is 42443955899372 this is the one I was looking at. The edit submission link from email doesn't work (on ipad), and editing from view submissions (chrome) also shows up blank. 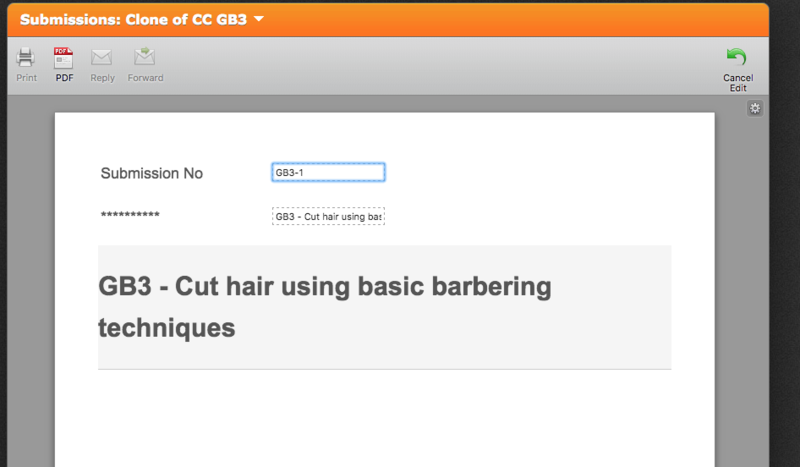 I also tried on CC GB3 (41964533767365), same result. I cloned your form with ID:42443955899372 to my account. I made submissions to the form and opened the notification email I have received in chrome browser on iPad and on my desktop. I could not replicate the same issue. I could edit the submission. Could you please delete your notification emails and create new notification emails with enabled Send on Edit option? Kindly have a look at the user guides below. I hope this fixes your problem. If the problem still continues, please let us know.